6. This ain't his first rodeo. The road to superstardom has been an unconventional one to say the least for country music phenomenon, Chase Rice. If you’re a UNC fan, you may recognize him from the team’s football roster between 2005 to 2008 (one). If that doesn't ring a bell, then you’ve definitely heard his music on the radio, where hit songs like “Ready Set Roll” (two) and “Gonna Wanna Tonight” (three) have become staples on country stations since his album Ignite the Night topped the country sales charts at No. 1 (four). After opening for Kenny Chesney last year (five), the 31-year-old singer-songwriter has hit the road for his fifth run of headlining shows, embarking on his Everybody We Know Does Tour (six). His latest single (seven), which shares the same name as the tour, brings the North Carolina-native back to his roots (eight). “I wanted to have an in-the-moment song of what me and my friends do and how we live,” he says of the heartwarming track in a press release. Fans amped for Chase’s show will be elated by the slew of surprises that the tour has in store (nine). Along with General Admission tickets, the “Ride” singer will also be offering fans a special VIP package, which allows fans to meet the country star and take home a VIP collectible flag. 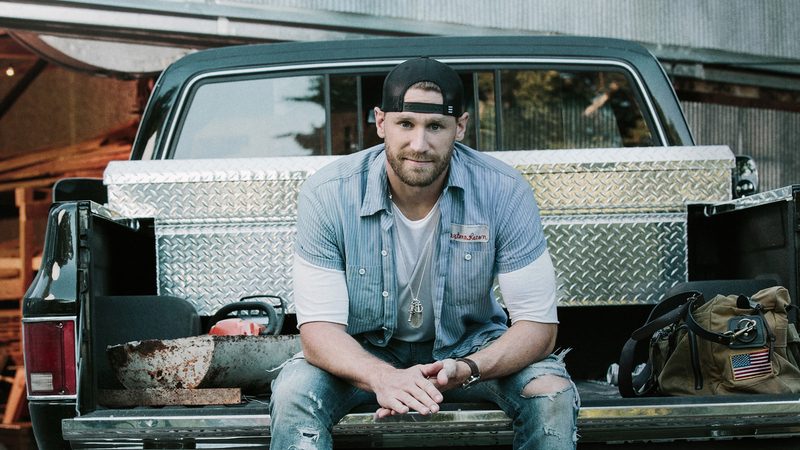 Get your tickets to the show here, purchase the best Chase Rice merch here, and make sure to track the multitalented performer on Bandsintown so you don’t miss another show!